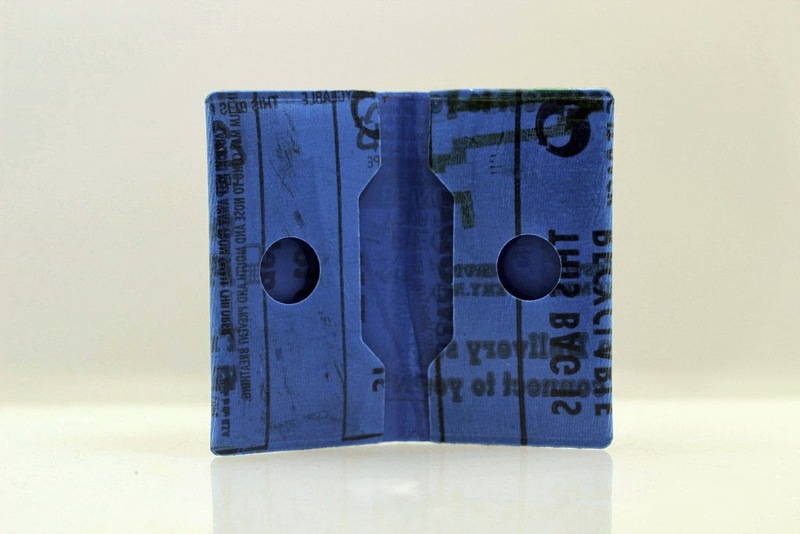 One of my newest wallets is from the gang at the Providence Plastics Project, a group of Rhode Island School of Design graduates who have set out to create useful products by "upcycling" waste and scrap materials. Made from used plastic dry cleaning bags and scrap fabric, each PPP wallet or phone case is a unique creation. I selected a more modest color combination but I'm tempted to pick up a more extreme color combo just for fun. Why not? Unlike most products where people might feel they are wasting valuable resources, these wallet are already waste and you just giving these materials a useful second life. This wallet isn't the sexiest I own or the best designed. What it is is a reminder that recycling matters, that everyone should be open to using non-virgin materials, and that every plastic bag recycled is one less in our landfills, or heaven forbid, in our waterways or oceans. These items are fun little products and great conversation pieces. Who knew going green would be this much fun?